10:00-20:00 Darby opens up 2nd store in Oxford. His appreciation for his outstanding staff and great customers. 20:00-30:00 Darby’s mancave. weightlifting. Running history. Wilson’s jealousy issues with William. 40:00-50:00 The health benefits of Advocare products. Darby’s family. Wilson’s rage against the Comcast guy (he blames the energy drink). 50:00-56:00 Our shared sadness that they took Ephedra off of the market. Special thanks to Ted Horrell & The Monday Night Card for allowing us to use their music. William Darby is a native Mississippian, who has lived in the Olive Branch area for the past seventeen years. Darby is a familiar face to most in the area, and has a successful tire and auto business in the downtown square of Olive Branch. When William is not to be found at Darby’s Tire and Auto, you can usually find at a local gym, spending time with his family, or on the road, chasing down the Rebels of Ole Miss. There is no real way of expressing just how much William Darby has done for the Olive Branch Community. From fundraiser support, to high school athletics, to helping people with financial hardships to get their vehicles up and running, Darby has been willing to lend a hand. Von and I came to know Darby through Olive Branch CrossFit. William is active in the fitness community. Having ran quite a few marathons, half-marathons, and some smaller races, Darby keeps his strength up by cross-training and varying his training. On this episode, we had the opportunity to sit back, relax, and have quite a few laughs with one of the goodest good ole boys around. 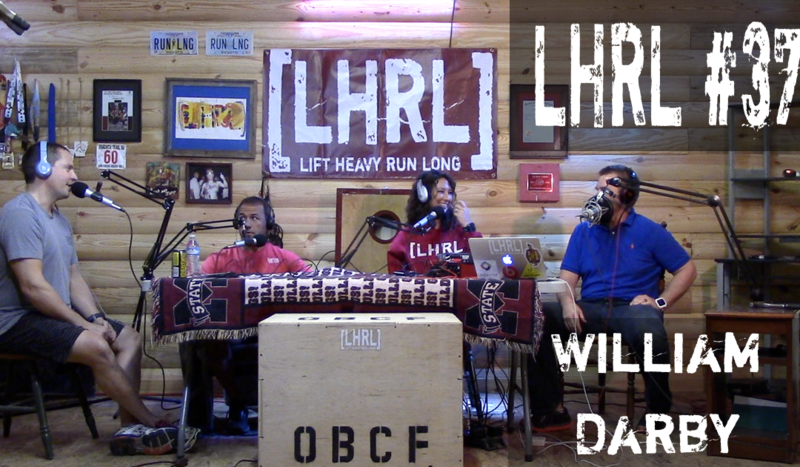 Huge thanks to William Darby for all that he does for the community and for being willing to spend some time with us at LHRL studio.